According to recent studies, 22% of salespeople still don’t know what a CRM is. Furthermore, 40% of salespeople are still using informal practices such as spreadsheets and scattered sticky notes to store valuable contact data and keep track of important contact information. This implies that even if a salesperson is aware of what a CRM can do, they might not be entirely sold on the benefits the right CRM can have for their business or personal brand. This skepticism is most likely rooted in a lack of clarity in regards to how a CRM can drive success and cultivate new relationships. 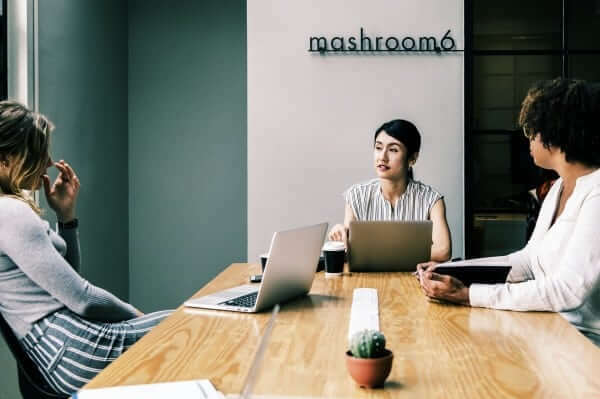 In order to convert the cynics into believers, we’ve dug into four overlooked ways businesses can get even more out of their social CRM. Pick the right CRM solution for your company. Too often, businesses pick an expensive CRM that is overly complex for their needs. What many businesses actually need is a reasonably priced, self-building social relationship manager that pulls data from emails, contacts, calendars, and social networks to help every person on a team engage authentically and insightfully with customers, partners and influencers. 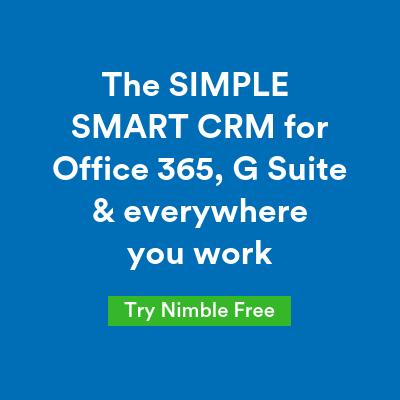 Nimble prides itself on being the CRM solution that gives you the most bang for your buck; it’s ideal for businesses of any size because it provides you with social and business insights right at your fingertips, without costing you an arm and a leg. Evaluate how your CRM application can provide the greatest results with the least amount of user effort, everywhere they work. Ease of use enabled by powerful automated features is tremendously important in regards to getting the most from your CRM. Be sure to establish usage protocols, and select a system that aligns with your company’s needs without bogging down the employees who have to use it. 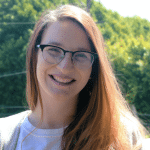 Find a CRM that can deliver auto-generated social and company insights seamlessly (via Chrome, Safari, and Firefox plug-ins) within web applications in addition to inboxes, calendars, contacts, and cloud-based apps. It’s also important to download the mobile app in order to have these capabilities wherever you go, whether you’re on a desktop or mobile device. Leverage third party tools to complement your CRM application. Thanks to SaaS delivery of applications, companies are now mere clicks away from expanding the power of their technology infrastructure to drive business effectiveness and value. You can sync up multiple integrations to enhance your scope of smarter prospecting and communication. Nimble has pre-built integration with over 100 top ISV solutions, including PieSync, Mailchimp, Zapier, Shopify, and more. Companies should take the time to explore what app integrations are available to them relative to the strategies they are trying to execute. View your CRM as an ongoing strategic initiative for your businesses success, rather than as a “one and done” deal that ends as soon as you provide users with their logins. Once the foundational understanding of how a CRM works has been achieved, raise the bar to accomplish more with new feature deployments, automating additional business processes, implementing new business processes, leveraging third-party applications, and more. The beauty of SaaS delivery is that CRM applications are always deploying enhancements and game-changing features, all for the subscription price that you are already paying. According to a recent study conducted by Nucleus Research, a successfully implemented CRM system can reap an ROI of $8.71 or more for every dollar spent. The more functionality a company leverages from its CRM investment, the greater the ROI and the greater the benefit from users, customers, and the company. We get it – CRMs seem complicated. We’re here to show you that they don’t have to be. With a properly integrated CRM, you’ll find that your work day will start to get much easier the more you use it. By leveraging the intuitiveness of solutions such as Nimble, you’ll be able to close more deals faster so you can spend more time prospecting with the right people at the right time.